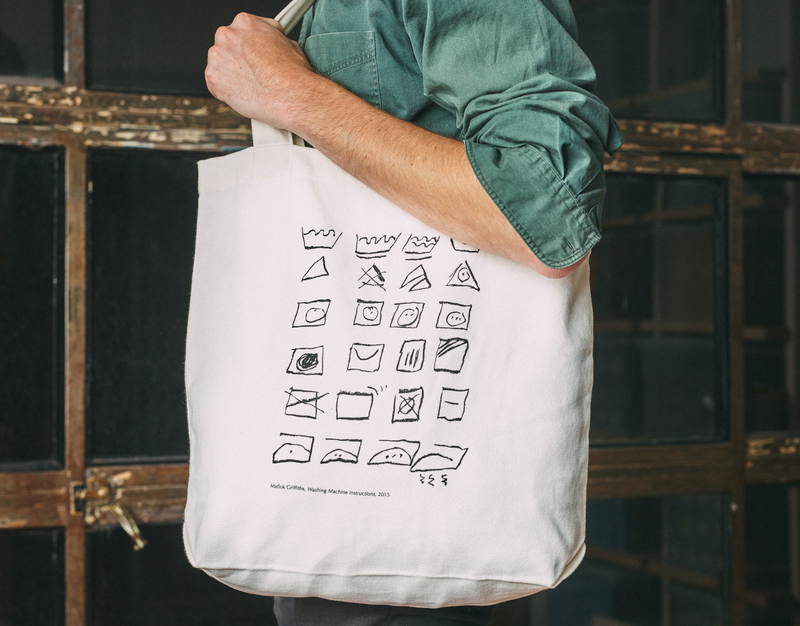 A classic and strong tote bag designed by Chapter House Lane in collaboration with artist Matlok Griffiths. 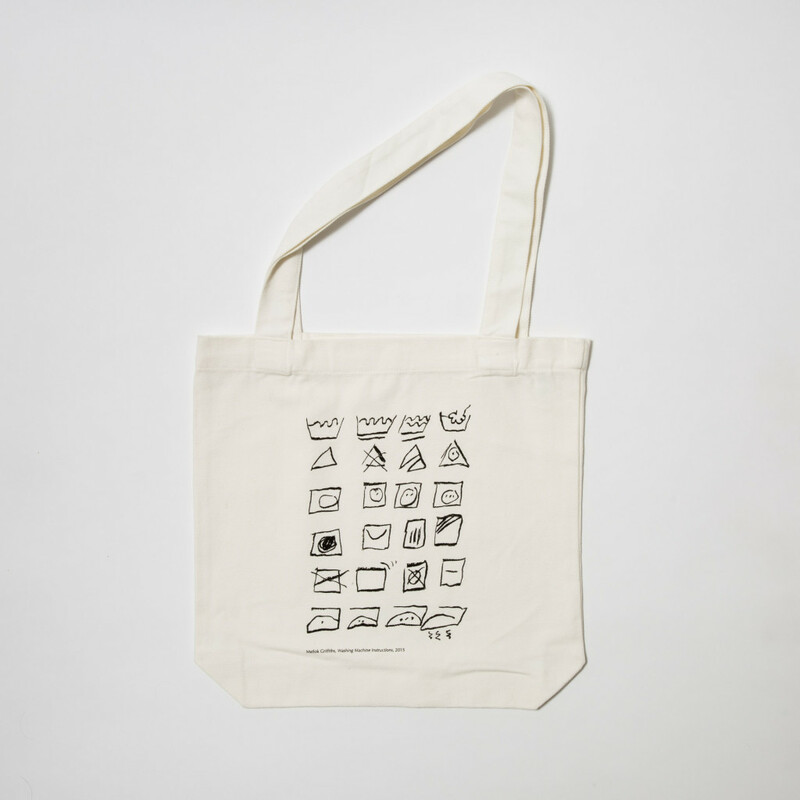 This bag has been printed locally in an edition of 100. It features a screen print of Griffiths’ artwork ‘Washing machine instructions’ and our much-loved logo on the reverse side. Designed and printed by Chapter House Lane, 2015.